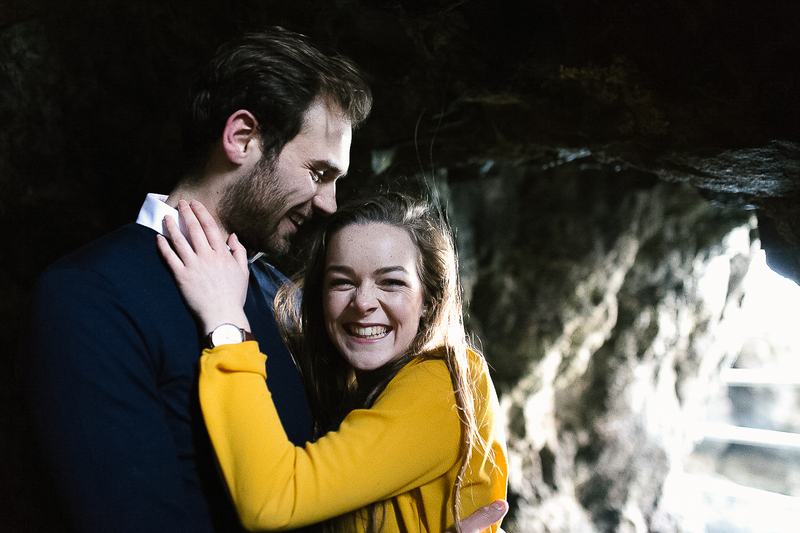 If I’m honest, couple and engagement sessions are my favourite! Unlike a wedding there are no location or time constraints, giving us free reign to create something truly amazing! In this guide I’ll be covering loads of super useful things you may not have thought about to help you be prepared for your session. I want to discover who you really are as a couple and capture that in its rawest form. To see through the regular and normal and to find the connection you have, be it weird and wonderful and crazy and beautiful, soft and quiet or daringly adventurous. To capture that thing that is uniquely and ONLY you. I want to explore how I can make each session unique and personal to each couple. What excites you, what are your favourite things to do? Let’s hang out and make each session the perfect date! Let’s plan your session to be totally you. My favourite example of this is a shoot I did with Andy and Anna. They are one of the most fun and adventurous couple I have met. I rarely see them inside: they are always adventuring. 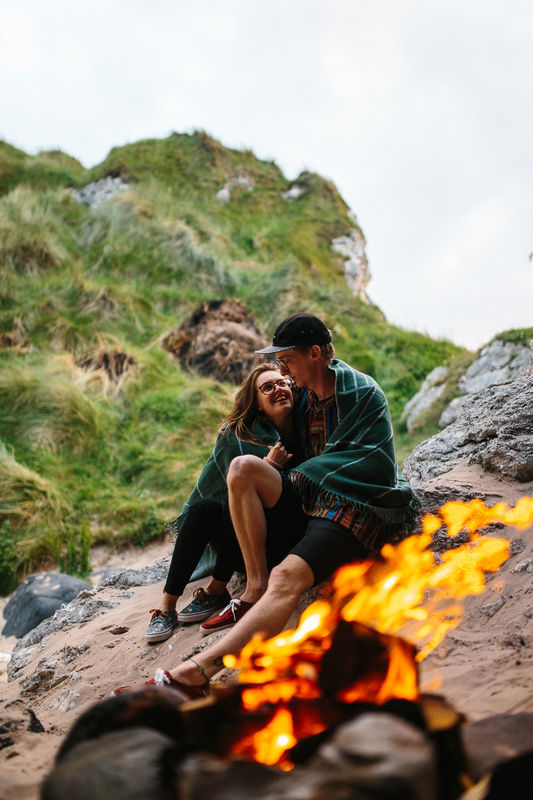 For their engagement shoot we went to their favourite place and we went surfing in our wetsuits and afterwards we lit a fire on the beach and soaked up the warmth as the sun set and we toasted marshmallows. It was the perfect day and I was able to capture them perfectly as who they are as a couple I can’t wait to shoot at their wedding! You can check out their shoot here. 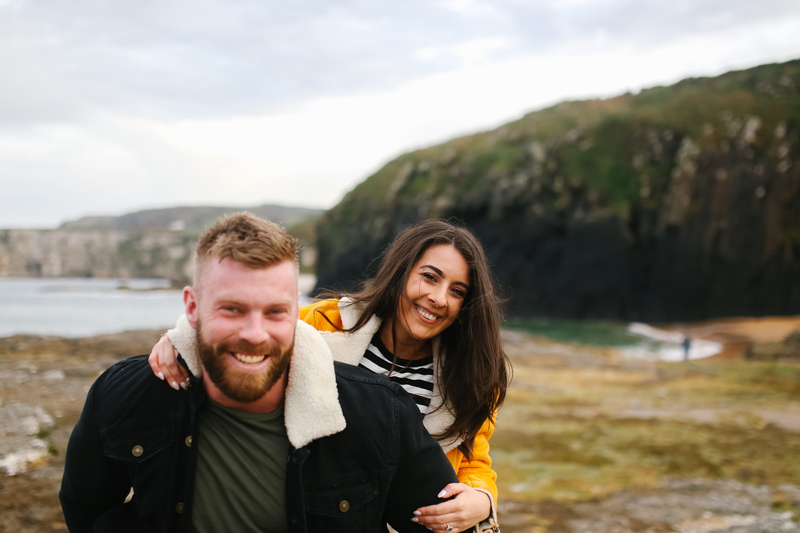 Why choose to do an engagement session? 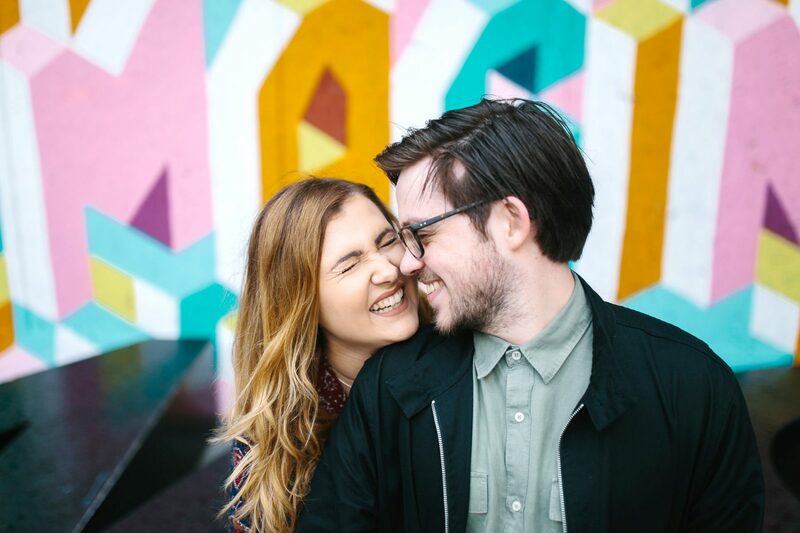 Engagement sessions are an amazing way to celebrate your engagement and love for each other. It’s really important for getting to know your photographer and getting comfortable in front you the camera before your big day. Your location should be awesome! 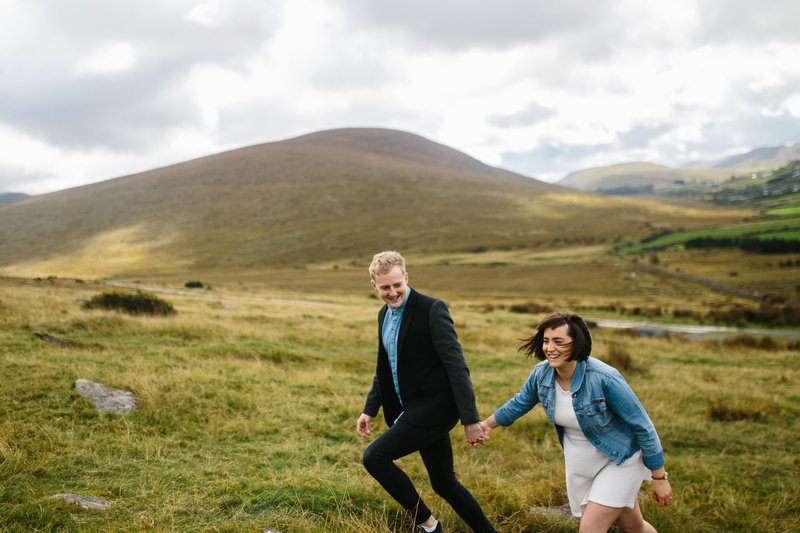 I recommend choosing something that’s out of the ordinary and I often love to shoot in the Mournes or the North Coast as they are most beautiful! Also your shoot could revolve around your favourite activity, like bowling, hiking or anything else you love to do.. Photography is all about light (is it a coincidence my name means light?) and softer more beautiful light occurs around sunrise and sun set so our session will most likely finish at sunset. Engagement shoots should be an expression of yourself so dressing in your own style is important! Dressing for your location is important too, like comfortable footwear for climbing mountains etc. I recommend not wearing big logos or large coats with big hoods. You want to wear flattering clothing that will make you look great for your shoot. Wearing contrasting colours to each other can be great or if one of you wears a brighter colour it can really help stand out from your environment. What to do in front of the camera? I dislike overly posed and staged photos. What I love is to capture the personality and love between the couples in my shoots. I may give a few pointers and tips but I want you to be yourselves and feel comfortable in front of my camera and that’s what comes through in my photos. So relax, hang out, laugh, and enjoy each others company. I hope this guide has helped you. Don’t hesitate to get in touch and ask any questions!